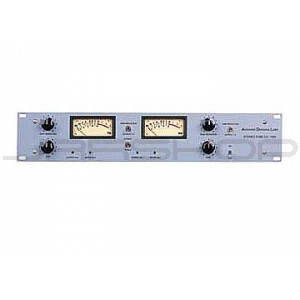 The ADL 1500 Stereo Tube Compressor/Limiter is a brilliant 2 channel, all tube design, providing phenomenal dynamic range with a clear, punchy, warm sound! Its "invisible" compression has made the ADL 1500 a very in-demand item. Eight vacuum tubes give the ADL 1500 its unmistakable richness and depth. Find out why so many people depend on the ADL 1500 Stereo Tube Compressor - the "fattest" sound around!! !